In celebration of the 80th birthday of Maestro Temirkanov, Mr. Bronfman’s 2018-19 season begins with a European tour with St. Petersburg Philharmonic. This is followed by a Scandinavian tour with The RoyalConcertgebouwwith orchestral concerts in Europe during the season including Paris (Orchestre National de France), London (LPO), Cologne (WDR), Rome (Santa Cecilia), Berlin (Philharmonic), and Vienna Philharmonic on tour. In the US he will return to orchestras in Cleveland, New York, Los Angeles, Houston, St. Louis, Cincinnati, San Francisco and Dallas, and in recital can be heard in New York (Carnegie Hall), Berkeley, Stanford, Aspen, Madrid, Geneva, Cologne, Leipzig, Munich, Berlin, Naples, Rome and on tour in the spring with mezzo-soprano Magdalena Kozena. He has given numerous solo recitals in the leading halls of North America, Europe and the Far East, including acclaimed debuts at Carnegie Hall in 1989 and Avery Fisher Hall in 1993. In 1991 he gave a series of joint recitals with Isaac Stern in Russia, marking Mr. Bronfman’s first public performances there since his emigration to Israel at age 15. That same year he was awarded the prestigious Avery Fisher Prize, one of the highest honors given to American instrumentalists. He is a 2015 recipient of an honorary doctorate from the Manhattan School of Music. 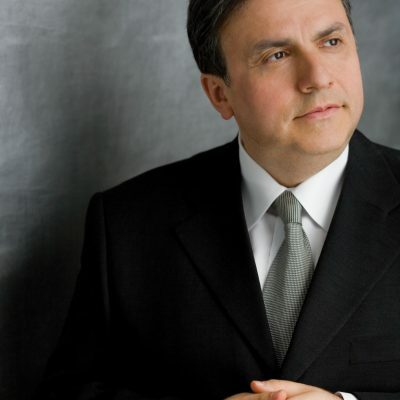 Yefim Bronfman became an American citizen in July 1989.